The last 48 hours have been wonderful days to end the week. On Thursday we had another colder day at the beach but God was clearly active. 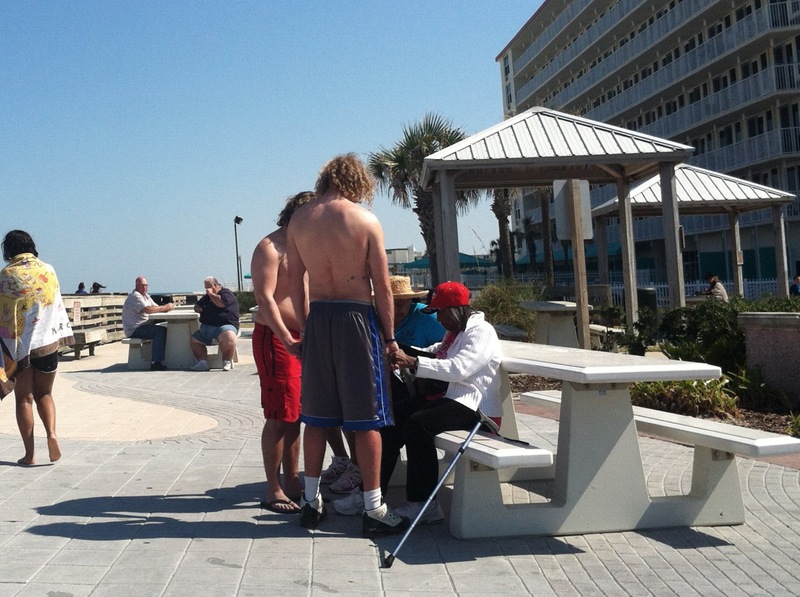 We saw another young man enter the kingdom and had remarkable conversations with a wide variety of God’s children. Homeless, schizophrenic, single moms, college and high school students, retirees…we have engaged God’s most precious creation in so many diverse forms. And in each we encountered the inherent image of God. 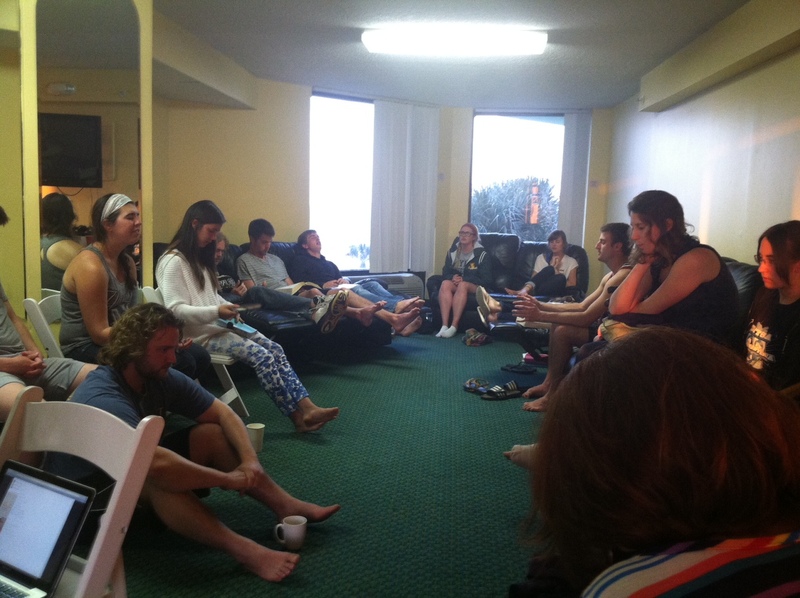 The day included on of our favorite things to do…worship with the beautiful residents if Ocean View. Thursday night most of the team went downtown to share Christ with people (this is a normal part of the week for the team). Throughout the week, team members have had remarkable opportunities to share Christ and to encounter the beauty and the brokenness in the people of Daytona. Today (Friday) we woke up to a picture perfect Florida day (70 sunny with a slight wind). The beach was full (for the first time). 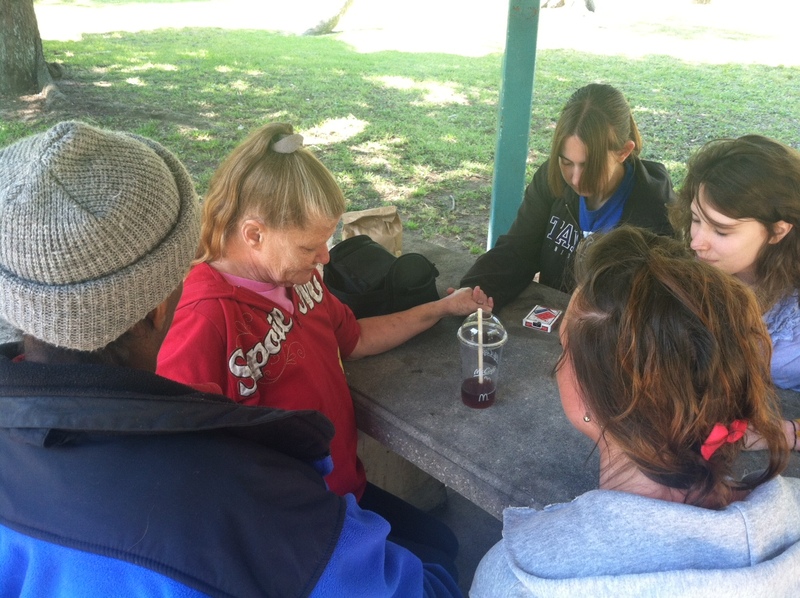 Some started at the park as we visited with our homeless friends. It was both a great and hard time. It was great to pray with and love on these beloved… But hard to hear the struggles they are daily dealing with. (Violence,rejection, addictions). We will continue to pray for safety and healing for them. Toward the end of the afternoon we began to say goodbye to those we see each year…which is always difficult to do. We are especially heartbroken to say goodbye to the residents of Ocean View and our homeless friends who the world so often treats as an inconvenience or embarrassment…we trust that somehow God will send others to remind then if their value and their beauty…and that He will bring us back together in the next year. The evening ended with another great night downtown as most of the team spent time talking to individuals, sharing the gospel and the message of God’s power for their lives. Two young men from California gave their lives to Christ and a number of others were confronted with the reality of God and are considering the impact that that reality has on their lives going forward. One more day left before we leave on Sunday. Pray with us that God will continue to use us as we prepare to head back north!